LAST CHANCE to enter this, a winner will be chosen tomorrow! 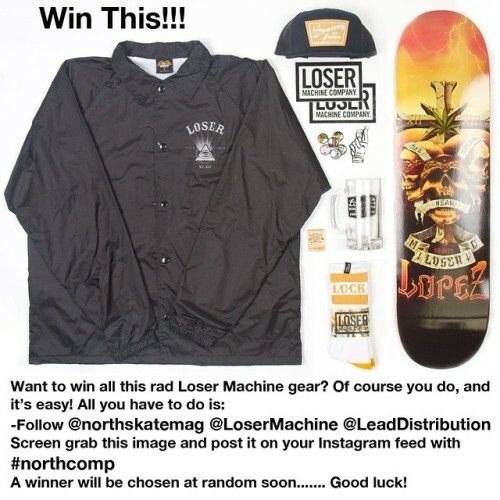 Loser Machine Black Magnetic Coaches Jacket. Loser Machine Navy Hotel Twill Trucker Hat. Assorted Loser Machine Stickers and Pin Badges. Loser Machine Glass Beer Mug!!! Loser Machine White/Gold Ejector Tall Socks. 8.25 Adrian Lopez No Rats Deck! North Skateboard Magazine Has Arrived! 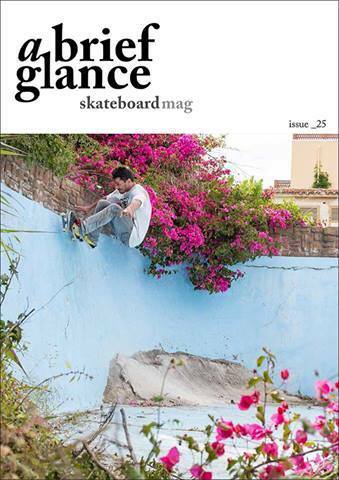 The launch of Scotland's very own Skateboard Photography Magazine. Come say hey, grab a copy, and have a drink among friends! The Bongo Club - Wednesday 30th May - 8pm - 11pm Mr Meaks is Djing so you know it'll be good! All welcome, tell your friends! Over 18's only, sorry.